I have always felt our experiences as the parents of a daughter with down syndrome can help others. Perhaps that is egotistical of me, but I know when Alex was born I actively sought out other families who had children with down syndrome. I wanted to be reassured that our lives would go on, and Alex would be fine. Those were very simple questions, yet so important to our approach to life. We included and advocated for Alex from day one. We knew from others families touched by down syndrome that Alex was special. Certainly, our lives are different than our peers who do not have children with down syndrome. Once again, perhaps I am egotistical, yet I believe in many ways our lives have been enriched by Alex and we have added another dimension to our life that not all families share. 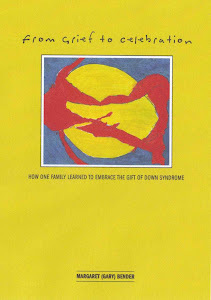 To that end I wrote my book "From Grief to Celebration, How One Family Learned to Embrace the Gift of Down Syndrome". I want to share our message of awareness and acceptance. Our lives are filled with challenges and triumphs, but also life and magic. So here is my unabashed request. Please if you know anyone who might benefit from learning about our journey, PLEASE buy my book, or buy it yourself! It is only $13.99 and can be purchased here. In order to publish my book (as I have no agent and no contacts at publishing houses – so if you do PLEASE share my book) I had to set myself up as a publishing company. I am officially called The Extraordinary Girl LLC. I filed for my own ISBN and copyright, hired an editor, a graphic designer and completely formatted my book for submission. It was a labor of love and means I know how to publish a book. 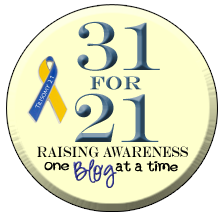 So my inkling of an idea is……..How about we (parents, siblings, families and self advocates) join together to publish stories of our own journeys. Think how many families we may be able to reach and share our stories with – good and bad, challenges and triumphs. Wouldn't that be a good thing? Basically I am looking for folks who may be interested in sending me their five or so, favorite blog postings. I envision chapters around birth, education, friendships, weight, medical concerns etc….. (still thinking through). I will organize the book, get the copyright and ISBN and publish. As this is such a new idea I am hoping I can keep a list of bloggers who may be interested. I do not know about pricing the book, and in turn figuring out compensation for everyone, but I am thinking that through too. Come join me in creating "Musings on Down syndrome from across the World" and sent me an e-mail with your interest level – theextraordinarygirlllc@gmail.com. I look forward to hearing from you! PS The e-mail link may not work...so you may have to copy and paste! Oooh! Fun! Count me in!!! I'm on board for this idea!! Count me in!